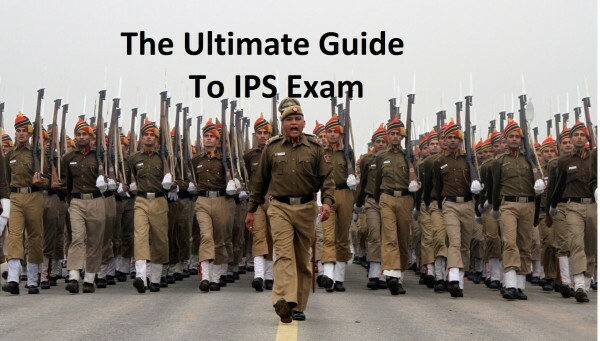 CDS which is basically termed as combined defense services which are exam conducted by Union Public Service Commission UPSC twice a year.The UPSC conducts CDS examination to fulfill the requirement of Indian Military Academy, officers training academy OTA, Indian Naval Academy (NNA), and Indian Airforce Academy (IAFA). The dates on notification of the examinations usually released in the month of October, and the tests are conducted in February and November respectively. According to the policy of UPSC unmarried graduates males and females are eligible for CDS exams. Although divorced female candidates age, less than 25 considered as unmarried. All the people who will be successful in the examinations will be sent to respective academies after an interview conducted by Service Selection Board which is called SSB. Female candidates are only eligible for OTA officers training academy Chennai. 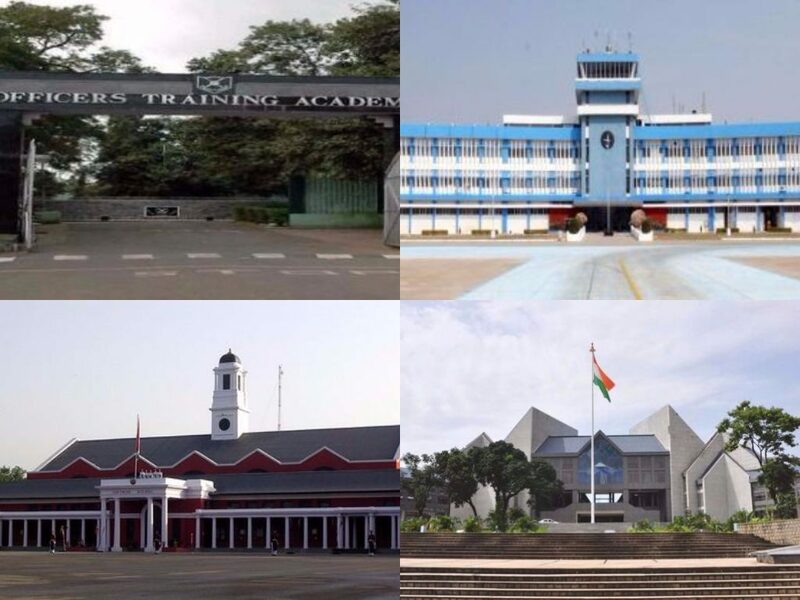 Indian Military Academy, Dehradun Will be updated soon..
Indian Naval Academy, Ezhimala Will be updated soon..
Air Force Academy, Hyderabad Will be updated soon..
Officers’ Training Academy, Chennai Will be updated soon..
Officers Training Academy, Chennai Women (Non-Technical) Course Will be updated soon.. So. these were the UPSC CDS II 2019 Exam date. Other information will be updated soon on the official website. The maximum marks allotted to the written examination and to the interviews will be equal for each course. The maximum marks allotted to the written examination and the interviews will be 300, 300, 300 and 200 each for admission to the Indian Military Academy, Indian Naval Academy, Air Force Academy and Officers’ Training Academy respectively. In the question papers, wherever necessary, questions involving the metric system of Weights and Measures only will set. Candidates must write the papers in their hand. In no circumstances will they be allowed the help of a scribe to write answers for them. The Commission have the discretion to fix qualifying marks in any or all the subjects of the examination. The standard of the papers in Elementary Mathematics will be of Matriculation level. The standard of papers in other subjects will approximately be such as may be expected of a graduate of an Indian University. General Knowledge including knowledge of current events and of such matters of everyday observation and experience in their scientific aspects as may be expected of an educated person who has not made a special study of any scientific subject. The paper will also include questions on History of India and Geography of nature which candidate should be able to answer without special study. Number System—Natural numbers, Integers, Rational and Real numbers. Fundamental operations, addition, subtraction, multiplication, division, Square roots, Decimal fractions. Unitary method, time and distance, time and work, percentages, applications to simple and compound interest, profit and loss, ratio and proportion, variation. Elementary Number Theory—Division algorithm. Prime and composite numbers. Tests of divisibility by 2, 3, 4, 5, 9 and 11. Multiples and factors. Factorisation Theorem. H.C.F. and L.C.M. Euclidean algorithm. Logarithms to base 10, laws of logarithms, use of logarithmic tables. Basic Operations, simple factors, Remainder Theorem, H.C.F., L.C.M., Theory of polynomials, solutions of quadratic equations, the relation between its roots and coefficients (Only real roots to be considered). Simultaneous linear equations in two unknowns—analytical and graphical solutions. Simultaneous linear inequations in two variables and their solutions. Practical problems leading to two simultaneous linear equations or inequations in two variables or quadratic equations in one variable & their solutions. Set language and set notation, Rational expressions and conditional identities, Laws of indices. The personality of a candidate is assessed by three different assessors viz.The Interviewing Officer (IO), Group Testing Officer (GTO) and the Psychologist. There are no separate weightage for each test. The marks are allotted by assessors only after taking into consideration the performance of the candidate holistically in all the test. In addition, marks for Conference are also allotted based on the initial performance of the Candidate in the three techniques and decision of the Board. All these have equal weightage. 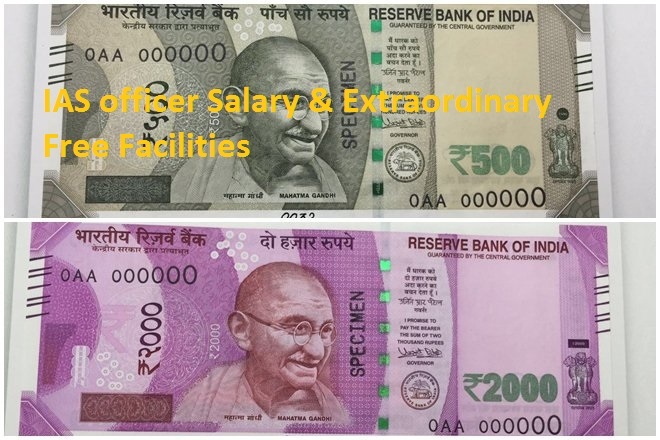 The various tests of IO, GTO and Psych are designed to bring out the presence/absence of Officer Like Qualities and their trainability in a candidate. Mobiles phones, pagers/Bluetooth or any other communication devices are not allowed inside the premises where the examination is being conducted. Any infringement of these instructions shall entail disciplinary action including ban from future examinations. (i) There are four alternatives for the answer to every question. For each question for which a wrong answer has been given by the candidate. One third (0.33) of the marks assigned to that question will be deducted as penalty. (ii) If a candidate given more than one answer, it will be treated as a wrong answer even if one of the given answers happens to be correct and there will be the same penalty as above for that question. In the case of any guidance/information/clarification regarding their application, candidature, etc. candidates can contact UPSC’s Facilitation Counter near Gate ‘C’ of its campus in person or over Telephone No.011-23385271/011-23381125/011- 23098543 on working days between 10.00 hrs. To 17.00 hrs. The candidates applying for the examination should ensure that they fulfill all the eligibility conditions for admission to the Examination. Their admission at all the stages of the examination will be purely provisional subject to satisfying the prescribed eligibility conditions. Candidates are required to apply online by using the website www.upsconline.nic.in Brief instructions for filling up the online Application Form have been given in the Appendix-II. Detailed instructions are available on the above-mentioned website. The Online Applications can be filled up to 02nd December 2019 till 6:00 PM after which the link will be disabled. The eligible candidates shall be issued an e-Admit Card three weeks before the commencement of the examination. The e-Admit Card will be made available on the UPSC website (www.upsc.gov.in) for downloading by candidates. No e- Admit Card will be sent by post. All the applicants are required to provide valid & active e-mail i.d. while filling up online application form as the Commission may use electronic mode for contacting them. For both writing and marking answers in the OMR sheet (Answer Sheet) candidates must use black ball pen only Pens with any other colour are prohibited. Do not use Pencil or Ink pen. Candidates should note that any omission/mistake/discrepancy in encoding/filling of details in the OMR answer sheet especially with regard to Roll Number and Test Booklet Series Code will render the answer sheet liable for rejection. Candidates are further advised to read carefully the “Special Instructions” contained in Appendix-III of the Notice. In a case of any guidance/information/clarification regarding their application, candidature etc. candidates can contact UPSC’s Facilitation Counter near Gate ‘C’ of its campus in person or over Telephone No.011-23385271/011-23381125/011- 23098543 on working days between 10.00 hrs. to 17.00 hrs. CANDIDATES ARE REQUIRED TO APPLY ONLINE AT www.upsconline.nic.in ONLY. NO OTHER MODE IS ALLOWED FOR SUBMISSION OF APPLICATION. GOVERNMENT STRIVES TO HAVE A WORKFORCE WHICH REFLECTS GENDER BALANCE AND WOMEN CANDIDATES ARE ENCOURAGED TO APPLY. Indian Military Academy, Dehradun— 150 144th (DE) Course commencing in January 2019 [Including 19 vacancies reserved for NCC ‘C’ Certificate (Army Wing) holders]. Indian Naval Academy, Ezhimala—Course 45 commencing in January 2019 Executive (General Service) [including 06 vacancies reserved for NCC ‘C’ Certificate holders (Naval Wing)]. Air Force Academy, Hyderabad—(Pre-Flying) 32 Training Course commencing in February 2019 i.e. No. 203 F(P) Course. Officers Training Academy, Chennai—21st 11 SSC Women (Non-Technical) Course commencing in April 2019. NOTE (i): The date of holding the examination as mentioned above is liable to be changed at the discretion of the Commission. NOTE (ii): The number of vacancies given above is tentative and may be changed at any stage by Services H. Q. N.B. (I) (a) : A candidate is required to specify clearly in respective column of the Online Application the Services for which he/she wishes to be considered in the order of his/her preference. A male candidate is advised to indicate as many preferences as he wishes to, subject to the condition given at paras (b) and (c) below, so that having regard to his rank in the order of merit due consideration can be given to his preferences when making appointment. Since women candidates are eligible for OTA only, they should give OTA as their first and only preference. 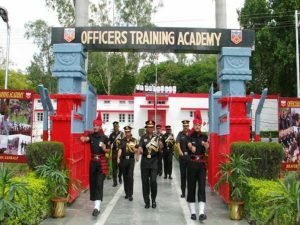 Commission course at IMA, Indian Naval Academy, and Air Force Academy should indicate OTA as his last preference; otherwise, OTA will be deemed to be the last choice even if it is given a higher preference by the candidate. (b) (ii) : Women candidates are being considered only for Short Service Commission at OTA. They should indicate OTA as the only choice. (c) Candidates who desire to join Air Force Academy must indicate AFA as first choice, as they have to be administered Computer Pilot Selection System (CPSS) and/or Pilot Aptitude Battery Test at one of the AFSBs and AF Medicals at Central Establishment/Institute of Aviation Medicines. Choice exercised for AFA as second/third etc. will be treated as invalid. (d) Candidates should note that, except as provided in N.B. (II) below, they will be considered for appointment to those courses only for which they exercise their preference and for no other course(s). (e) No request for addition/alteration in the preferences already indicated by a candidate in his/her application will be entertained by the Commission. No change of choice once exercised will be allowed. The second choice will come for consideration only when the first choice is not offered to the candidate by Services HQ. When the first choice is offered and a candidate declines the same, his/her candidature will be canceled for all other choices for regular Commission. (ii) The candidates who are detailed for training even though they have not expressed their preference for SSC will be placed in the order of Merit List after the last candidate who had opted for this Course, as these candidates will be getting admission to the Course to which they are not entitled according to the preference expressed by them. (iii) Candidates with Air Force as first and only choice cannot be considered as left-over for grant of SSC (OTA) if they fail in Computer Pilot Selection System (CPSS) and/or Pilot Aptitude Battery Test. Such candidates, if they desire to be considered for SSC (OTA) should exercise their option for OTA also. NOTE 1 : NCC ‘C’ Certificate (Army Wing/Senior Division Air Wing/Naval Wing) holders may also compete for the vacancies in the Short Service Commission Course but since there is no reservation of vacancies for them in this course, they will be treated as general candidates for the purpose of filling up vacancies in this course. Opp. Vayu Bhawan, Motilal Nehru Marg, New Delhi-110 106 in case of Air Force first choice candidates by 13th November, 2019. To be eligible to compete for reserved vacancies the candidates should have served for not less than 2 academicyears in the Senior Division Army Wing and 3 academic years in the Senior Division Air Wing/Naval Wing of National Cadet Corps . And should not have been discharged from the NCC for more than 24 months for IMA/Indian Naval Academy/Air Force Academy courses on the last date of receipt of Application in the Commission’s Office. NOTE 2 : In the event of sufficient number of qualified NCC ‘C’ Certificate (Army Wing/Senior Division Air Wing/Naval Wing) holders not becoming available on the results of the examination to fill all the vacancies reserved for them in the Indian Military Academy Course/Air Force Academy Course/Indian Naval Academy Course, the unfilled reserved vacancies shall be treated as unreserved and filled by general candidates. (e) Brief particulars of services etc. 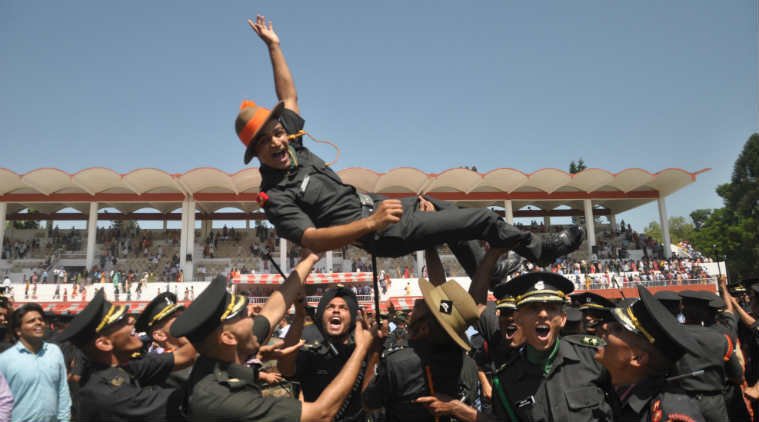 for candidates joining the Indian Military Academy, Indian Naval Academy, Air Force Academy and Officers’ Training Academy are given in Appendices I, II, III, IV and V respectively. Applicants should note that there will be a ceiling on the number of candidates allotted to each of the centers except Chennai, Delhi, Dispur, Kolkatta, and Nagpur. Allotment of Centres will be on the first-apply-first-allot basis and once the capacity of a particular center is attained, the same will be frozen. Applicants, who cannot get a center of their choice due to ceiling, will be required to choose a Centre from the remaining ones. Applicants are, thus, advised that they may apply early so that they could get a Centre of their choice. Candidates admitted to the examination will be informed of the time table and place or places of examination. Candidates should note that no request for change of center will be granted. NOTE : While filling in his/her online Application form, the candidates should carefully decide about his/her choice for the center for the examination. If any candidate appears at a Centre/Paper other than the one indicated by the Commission in his/her Admission Certificate, the papers of such a candidate will not be valued and his/her candidature will be liable to cancellation. Provided that a candidate belonging to categories (ii), (iii), (iv) and (v) above shall be a person in whose favor a certificate of eligibility has been issued by the Government of India. Certificate of eligibility will, however, not be necessary in the case of candidates who are Gorkha subjects of Nepal. A candidate in whose case a certificate of eligibility is necessary may be admitted to the examination provisionally subject to the necessary certificate being given to him/her by the Govt. before the declaration of result by UPSC. (iii) For Air Force Academy— 20 to 24 years as on 1st January 2019 i.e. born not earlier than 02nd January, 1994 and not later than 01st January, 1998 (Upper age limit for candidates holding valid and current Commercial Pilot Licence issued by DGCA (India) is relaxable up to 26 yrs. i.e. born not earlier than 02nd January, 1992 and not later than 01st January, 1998 only are eligible. (iv) For Officers’ Training Academy—(SSC Course for men) Male candidates (married or unmarried) born not earlier than 2nd January 1993 and not later than 1st January 1999 only are eligible. (v) For Officers’ Training Academy—(SSC Women Non-Technical Course) Unmarried women, issueless widows who have not remarried and issueless divorcees (in possession of divorce documents) who have not remarried are eligible. They should have been born not earlier than 2nd January 1993 and not later than 1st January 1999. NOTE : Male divorcee/widower candidates cannot be treated as unmarried man for the purpose of their admission in IMA/INA/AFA courses and accordingly they are not eligible for these courses. 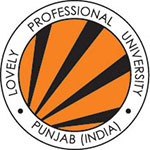 The date of birth accepted by the Commission is that entered in the Matriculation or Secondary School Leaving Certificate or in a certificate recognised by an Indian University as equivalent to Matriculation or in an extract from a Register of Matriculates maintained by a University, which extract must be certified by the proper authority of the University or in the Higher Secondary or an equivalent examination certificate. These certificates are required to be submitted only after the declaration of the result of the written part of the examination. No other document relating to age like horoscopes, affidavits, birth extracts from Municipal Corporation, service records and the like will be accepted. 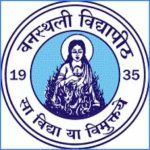 The expression Matriculation/Higher Secondary Examination Certificate in this part of the instruction includes the alternative certificates mentioned above. Sometimes the Matriculation/Higher Secondary Examination Certificate does not show the date of birth, or only shows the age by completed years or completed years and months. In such cases a candidate must send in addition to the self attested/certified copy of Matriculation/Higher Secondary Examination Certificate a self-attested/certified copy of a certificate from the Headmaster/Principal of the Institution from where he/she passed the Matriculation/Higher Secondary Examination showing the date of his/her birth or exact age as recorded in the Admission Register of the Institution. NOTE 1 : Candidates should note that only the Date of Birth as recorded in the Matriculation/Higher Secondary Examination Certificate or an equivalent certificate on the time of submission of applications will be accepted by the Commission and no subsequent request for its change will be considered or granted. In exceptional cases, the Commission may treat a candidate, who does not possess any of the qualifications prescribed in this rule as educationally qualified provided that he/she possesses qualifications, the standard of which in the opinion of the Commission, justifies his/her admission to the examination. NOTE I : Candidates, who have yet to pass their degree examination will be eligible only if they are studying in the final year of degree examination. Those candidates who have yet to qualify in the final year Degree Examination and are allowed to appear in the UPSC Examination should note that this is only a special concession given to them. They are required to submit proof of passing the Degree Examination by the prescribed date and no request for extending this date will be entertained on the grounds of late conduct of basic qualifying University Examination, delay in declaration of results or any other ground whatsoever. NOTE-II: Candidates who are debarred by the Ministry of Defence from holding any type of commission in the Defense Services shall not be eligible for admission to the examination and if admitted, their candidature will be canceled. NOTE III: In the event of Air Force candidates being suspended from Flying training for failure to learn flying, they would be absorbed in the Navigation Branch of the IAF. This will be subject to availability of vacancies and fulfilling the laid down qualitative requirements (including 60% in graduation). Candidates must be physically fit according to physical standards for admission to Combined Defence Services Examination (I), 2019 as per guidelines are given in Appendix-IV. deactivated at 11:59 PM of 01.12.2019 i.e. one day before the closing date. However, applicants who have generated their Pay-in-slip before it is de-activated may pay at the counter of SBI Branch during banking hours on the closing date. Such applicants who are unable to pay by cash on the closing date i.e. during banking hours at SBI Branch, for reason whatsoever, even if holding a valid Pay-in-Slip will have no other offline option but to opt for online Debit/Credit Card or internet Banking Payment mode on the closing date i.e. till 6:00 PM of 02.12.2019. NOTE 2: Candidates should note that payment of examination fee can be made only through the modes prescribed above. Payment of fee through any other mode is neither valid nor acceptable. Applications submitted without the prescribed fee/mode (unless remission of fee is claimed) shall be summarily rejected. NOTE 3: Fee once paid shall not be refunded under any circumstances nor can the fee be held in reserve for any other examination or selection. NOTE 4: For the applicants in whose case payments details have not been received from the bank, they will be treated as fictitious payment cases and their applications will be rejected in the first instance. A list of all such applicants shall be made available on the Commission website within two weeks after the last day of submission of online application. The applicants shall be required to submit the proof of their fee payment within 10 days from the date of such communication either by hand or by speed post to the Commission. On receipt of documentary proof, genuine fee payment cases will be considered and their applications will be revived, if they are otherwise eligible. ALL FEMALE CANDIDATES AND CANDIDATES BELONGING TO SCHEDULED CASTES/SCHEDULED TRIBES ARE NOT REQUIRED TO PAY ANY FEE. NO tax EXEMPTION IS, HOWEVER, AVAILABLE TO OBC CANDIDATES AND THEY are necessary TO PAY THE FULL PRESCRIBED FEE. NOTE 2: Candidates should also note that once a Date of Birth has been claimed by them and entered in the records of the Commission for the purpose of admission to an Examination, no change will be allowed subsequently or at a subsequent examination on any ground whatsoever. NOTE 3: The candidates should exercise due care while entering their date of birth. If on verification at any subsequent stage any variation is found in their date of birth from the one entered in their Matriculation or equivalent examination certificate, disciplinary action will be taken against them by the Commission under the Rules. (i) For I.M.A. and Officers’ Training Academy— Degree of a recognized University or equivalent. (ii) For Indian Naval Academy—Degree in Engineering from a recognized University/Institution. (iii) For Air Force Academy—Degree of a recognized University (with Physics and Mathematics at 10+2 level) or Bachelor of Engineering. Candidates who are studying in the final year/semester Degree course and have yet to pass the final year degree examination can also apply provided candidate should not have any present backlog up to the last semester / year for which results have been declared up to the time of submission of application and they will be required to submit proof of passing the degree examination at the time of SSB to reach the Army HQ/Rtg. (i) For admission to IMA on or before 01 January 2019, Indian Naval Academy on or before 01 January 2019 and Air Force Academy on or before 13th November 2019. (ii) For admission to Officers’ Training Academy, Chennai on or before 1st April 2019. Candidates are required to apply Online using the link www.upsconline.nic.in Detailed instructions for filling up Online Applications are available on the abovementioned website.The applicants are advised to submit only single application; however if due to any unavoidable situation, if he/she submits another/multiple applications, then he/she must ensure that application with the higher RID (Registration ID) is complete in all respects like applicants’ details, examination centre, photograph, signature, fee etc. The applicants who are submitting multiple applications should note that only the applications with higher RID (Registration ID) shall be entertained by the Commission and fee paid against one RID shall not be adjusted against any other RID. All candidates whether already in Government Service including candidates serving in the Armed Forces, Government owned industrial undertakings or other similar organizations or in private employment should submit their applications online direct to the Commission. N.B.I: Persons already in Government Service, whether in permanent or temporary capacity or as work-charged employees other than casual or daily rated employees or those serving under the Public Enterprises are, however, required to inform their Head of Office/Department in writing that they have applied for the Examination. N.B.II: Candidates serving in the Armed Forces are required to inform their Commanding Officer in writing that they have applied for this examination. They are also required to submit NOC in this regard at the time of SSB interview. Candidates should note that in case a communication is received from their employer by the Commission withholding permission to the candidates applying for/appearing at the examination, their applications will be liable to be rejected/candidatures will be liable to be canceled. NOTE : APPLICATIONS WITHOUT THE PRESCRIBED FEE (UNLESS REMISSION OF FEE IS CLAIMED AS IN PARA 4 ABOVE) OR INCOMPLETE APPLICATIONS SHALL BE SUMMARILY REJECTED. No representation or correspondence regarding such rejection shall be entertained under any circumstances. Candidates are not required to submit along with their applications any certificate in support of their claims regarding age, educational qualifications, Scheduled Caste/Scheduled Tribe/OBC and fee remission etc. The candidates applying for the examination should ensure that they fulfill all the eligibility conditions for admission to the examination. Their admission at all the stages of examination for which they are admitted by the Commission viz. written examination and interview test will be purely provisional, subject to their satisfying the prescribed eligibility conditions. 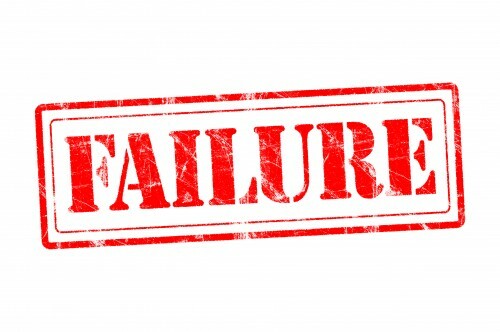 If on verification at any time before or after the written examination or Interview Test, it is found that they do not fulfill any of the eligibility conditions, their candidature for the examination will be canceled by the Commission. (2) Degree/Provisional Degree Certificate/Marks sheet showing clearly having passed degree examination and eligible for an award of a degree. the final year Degree examination must carry with them a certificate in original from the Principal of the College/Institution stating that the candidate has appeared/is looking at the final year Degree examination. Candidates who do not carry the above certificates with them while going to the Services Selection Centres shall not be allowed to appear for the SSB interview. No relaxation for non-submission of the above certificates in original at the selection center is authorized, and candidates who do not carry with them any of these certificates in original will not be permitted to appear for their SSB test and interview and they will be sent back home at their own expense. The Online Applications can be filled upto 02nd December, 2019 till 6:00 PM after which the link will be disabled. 7. CORRESPONDENCE WITH THE COMMISSION/ARMY/NAVAL/AIR HEAD QUARTERS. 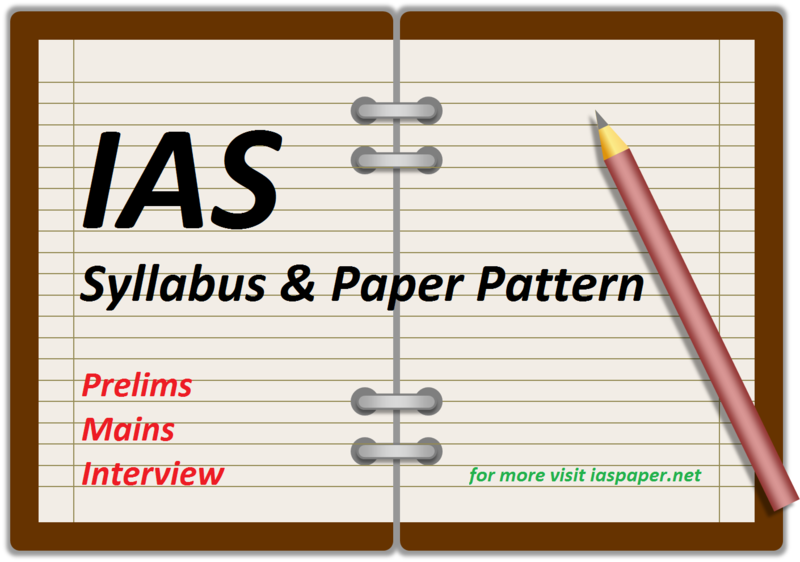 Admit Card the candidate must have his/her vital parameters like RID & Date of Birth or Roll No. (if received) & date of birth or name, Father’s name & Date of Birth available with him/her. from the candidate regarding non-receipt of his/her e-Admit Card at least 3 weeks before the examination, he/she himself/herself will be solely responsible for non-receipt of his/her e-Admit Card. No candidate will ordinarily be allowed to take the examination unless he/she holds an e-Admit Card for the examination. On downloading of Admit Card, check it carefully and bring discrepancies/errors, if any, to the notice of UPSC immediately. The courses to which the candidates are admitted will be according to their eligibility as per age and educational qualifications for different courses and the preferences given by the candidates. The candidates should note that their admission to the examination will be purely provisional based on the information given by them in the Application Form. This will be subject to verification of all the eligibility conditions. (iii) The decision of the Commission as to the acceptance of the application of a candidate and his/her eligibility or otherwise for admission to the Examination shall be final. (iv) Candidates should note that the name on the e-Admit Card in some cases, may be abbreviated due to technical reasons. (v) Candidates must ensure that their e-mail IDs given in their applications are valid and active. IMPORTANT: All communications to the Commission/Army Headquarters should invariably contain the following particulars. 5. Complete Postal Address as given in the application with telephone number, if any. N.B. (i) Communications not containing the above particulars may not be attended. N.B. (ii) If a letter/communication is received from a candidate after an examination has held, and it does not give his/her full name and Roll number, it will ignored and no action will taken thereon. Vayu Bhawan, Motilal Nehru Marg, New Delhi-110 106 in case of Air Force first choice candidates. Failure to comply with this instruction will deprive the candidate of any claim to consideration in the event of his/her not receiving the summon letter for interview by the Services Selection Board. Candidates are requested to report for SSB interview on the date intimated to them in the call up letter for interview. Requests for postponing interview will only be considered in very genuine circumstances and that too if it is administratively convenient for which Army Headquarters/Air Headquarter/Naval HQ will be the sole deciding authority. Such requests should be sent to Selection Centre/SSB from where the call for SSB interview has been received. Navy candidates can download their call letters from the naval website www.nausena-bharti.nic.in or send email at officer-navy”nic.in three weeks after publication of results. given ibid, should write to Naval Hqrs. or Air Hqrs. as mentioned in N.B. III (in case of non-receipt of call by 4th week of August, 2019). 8. ANNOUNCEMENT OF THE RESULTS OF THE WRITTEN EXAMINATION, INTERVIEW OF QUALIFIED CANDIDATES, ANNOUNCEMENT OF FINAL RESULTS AND ADMISSION TO THE TRAINING COURSES OF THE FINALLY QUALIFIED CANDIDATES. The Union Public Service Commission shall prepare a list of candidates who obtain the minimum qualifying marks in the written examination as fixed by the Commission in their discretion. Candidates who are declared successful in the written exam will be detailed for intelligence and personality test at the Service Selection Board based on their preference by the respective service HQ. CANDIDATES WHO HAVE QUALIFIED IN THE WRITTEN EXAM. ARE REQUIRED TO REGISTER THEMSELVES ON THE RECRUITING DIRECTORATE WEBSITE WWW.JOININDIANARMY.NIC.IN IN ORDER TO ENABLE THEM TO RECEIVE CALL UP FOR SSB INTERNIEW. Results of the test conducted by Service Selection Board will hold good for all the courses [i.e. Indian Military Academy (DE) Course, Dehradun, Indian Naval Academy, Ezhimala Course, Air Force Academy (Pre-Flying) Course, Hyderabad and SSC (NT) Course at OTA, Chennai] for which the candidate has qualified in the written exam, irrespective of the service HQ conducting it. Two-stage selection procedure based on Psychological Aptitude Test and intelligence Test has been introduced at Service Selection Boards. All the candidates will be put to stage one test on first day of reporting at Selection Centres. Only those candidates who qualify at stage one will be admitted to the second stage/remaining tests and all those who fail to pass stage one, will be returned. 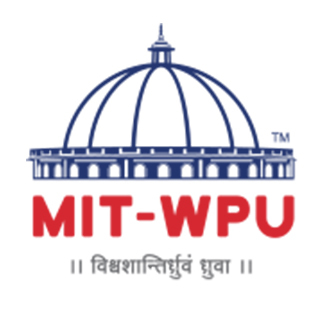 Only those candidate who qualify at stage two will be required to submit photocopy each of:—(i) Matriculation pass certificate or equivalent in support of date of birth, (ii) Bachelors Degree/Provisional Degree alongwith mark sheets of all the years/semesters in support of educational qualification. Candidates will appear before the Services Selection Board and undergo the test there at their own risk and will not be entitled to claim any compensation or other relief from Government in respect of any injury which they may sustain in the course of or as a result of any of the tests given to them at the Services Selection Board whether due to the negligence of any person or otherwise. Candidates will be required to sign a certificate to this effect on the form appended to theapplication. To be acceptable, candidates should secure the minimum qualifying marks separately in (i) written examination and (ii) SSB test as fixed by the Commission and Service Selection Board respectively in their discretion. The candidates will be placed in the order of merit on the basis of the total marks secured by them in the written examination and in the SSB tests. The form and manner of communication of the result of the examination to individual candidates shall be decided by the Commission in their discretion and the Commission will not enter into correspondence with them regarding the result. Success at the examination confers no right of admission to the Indian Military Academy, Indian Naval Academy, Air Force Academy or the Officers’ Training Academy as the case may be. The final selection will be made in order of merit subject to medical fitness and suitability in all other respects and number of vacancies available. NOTE: Every candidate for the Air Force and Naval Aviation is given Pilot Aptitude Test only once. The Grade secured by him at the first test (CPSS and/or PABT) will therefore hold good for every subsequent interview at the Air Force Selection Board. Those who have failed Indian Navy Selection Board/Computer Pilot Selection System (CPSS) and/or Pilot Aptitude Battery Test earlier and those who habitually wear spectacles are not eligible for Air Force. TEST/INTERVIEW AT AIR FORCE SELECTION BOARDS FOR THOSE CANDIDATES WHO APPLY FOR AIR FORCE THROUGH MORE THAN ONE SOURCE:—There are three modes of entry in F (P) course viz. CDSE/NCC/Airmen. Candidates who apply for the Air Force through more than one source will be tested/interviewed at the Air Force Selection Boards only once for Air Force. Common candidates who fail in Computer Pilot Selection System (CPSS) and/ or Pilot Aptitude Battery tests as an NCC or Airmen candidate will be called again for OLQ testing for Army/Navy/OTS only if it is found that they have applied through CDS Exam. or not will be detailed for SSB test in August-September, 2019 and candidates who qualify for SSC Course only will be detailed for SSB tests in October to December, 2019. DISQUALIFICATION FOR ADMISSION TO THE TRAINING COURSE: Candidates who were admitted to an earlier course at the National Defence Academy, Indian Military Academy, Air Force Academy, Indian Naval Academy, Officers’ Training Academy, Chennai but were removed there from on disciplinary ground will not be considered for admission to the Indian Military Academy, Indian Naval Academy, Air Force Academy or for grant of Short Service Commission in the Army. 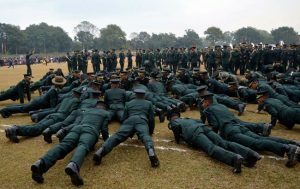 Candidates who were previously withdrawn from the Indian Military Academy for lack of Officer-like qualities will not be admitted to the Indian Military Academy. Candidates who were previously selected as Special Entry Naval Cadets but were withdrawn from the National Defence Academy or from Naval Training Establishments for lack of Officer-like qualities will not be eligible for admission to the Indian Navy. Candidates who were withdrawn from Indian Military Academy, Officers’ Training Academy, NCC and Graduate course for lack of Officer-like qualities will not be considered for grant of Short Service Commission in the Army. Candidates who were previously withdrawn from the NCC and Graduates’ course for lack of Officer-like qualities will not be admitted to the Indian Military Academy. 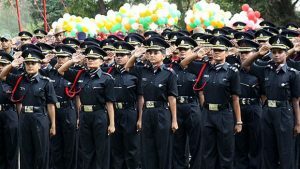 Candidates for the Indian Military Academy Course or Naval Academy Course or Indian Air Force Academy Course or women candidates joining Officers’ Training Academy must undertake not to marry until they complete their full training. A candidate who marries subsequent to the date of his/her application though successful at this or any subsequent examination will not be selected for training. A candidate who marries during training shall be discharged and will be liable to refund all expenditure incurred on him/her by the Government. No male candidate for the Short Service Commission course (a) who has entered into or contracted a marriage with a person having a spouse living or (b) who having a spouse living has entered into or contracted a marriage with any person shall be eligible for admission to the Officers’ Training Academy/grant of Short Service Commission. Provided that the Central Government may, if satisfied that such marriage is permissible under the personal law applicable to such persons and the other party to the marriage and there are other grounds for doing so exempt any person from the operation of this rule. After admission to the Indian Military Academy or the Indian Naval Academy or the Air Force Academy, candidates will not considered for any other commission. 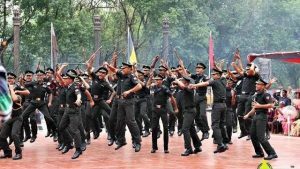 They will also not be permitted to appear for any interview or examination after they have finally selected for training at the Indian Military Academy or the Indian Naval Academy or the Air Force Academy. NO REQUEST FOR WITHDRAWAL OF CANDIDATURE RECEIVED FROM A CANDIDATE AFTER HE/SHE HAS SUBMITTED HIS/HER APPLICATION WILl ENTERTAINED UNDER ANY CIRCUMSTANCES.